There is so much to see, do and read online during the course of a normal work day. It is sometimes hard to break free of the diversions and focus on the job at hand. Enter full screen mode in Chrome to avoid distractions and to work more efficiently. 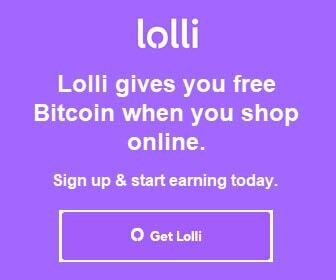 Full screen mode makes it possible because you can see more of the webpage. 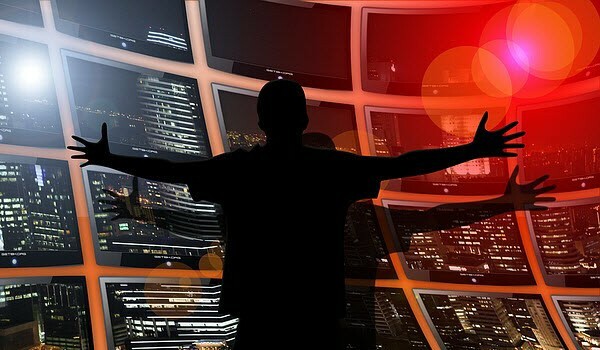 Hidden from view are features like the browser controls, menu bar, taskbar and other open tabs that can pull your attention. Chrome running on both Windows and Mac operating systems offers a full screen option. First, make sure you are running the latest version of Chrome. 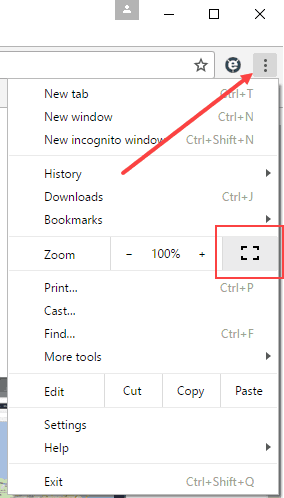 If you are, follow the steps below to learn how to exit and enter full screen mode in Chrome. As with many other features, there are a number of routes you can take to enter full screen mode. The fastest one is F11. With Chrome open and in focus, press the F11 key on your keyboard. Chrome will enter full screen mode. 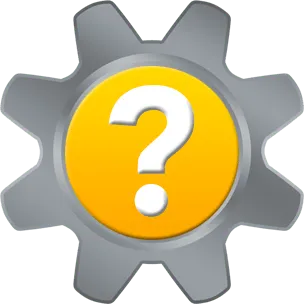 If you press F11 and nothing happens, check your keyboard for a Fn key or an F Lock key. Use them to activate the function keys. 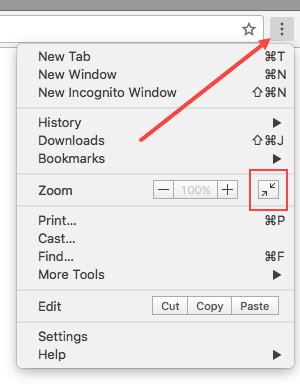 To exit full screen mode, press the F11 key again. You can also enter full screen mode in Chrome from Chrome’s Customize and control menu (3-dot menu). Find Zoom, then click the full screen icon in that row. To exit full screen mode, press the F11 key. 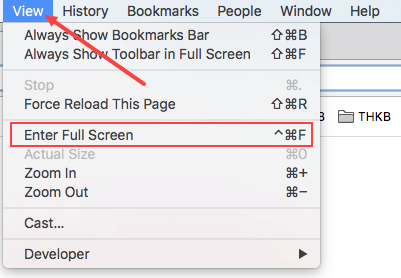 On your Mac, the fastest way to enter full screen mode in Chrome is by pressing Command-Shift-F. Press the same keys again to exit full screen mode. 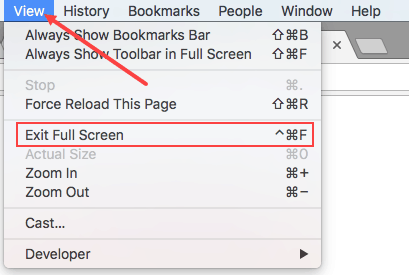 You can enter full screen mode in Chrome on Mac from Chrome’s Customize and control menu (3-dot menu) too. 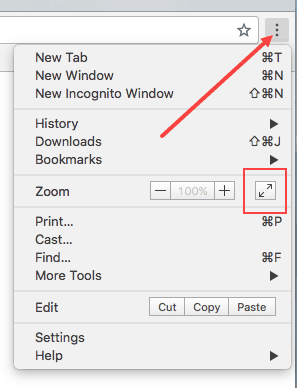 Find Zoom, then click the enter full screen icon in that row. The icon differs from the icon in Chrome on Windows but is in the same location. To exit full screen mode, press the exit full screen icon. The View menu also includes an option to Enter Full Screen. …and to Exit Full Screen. 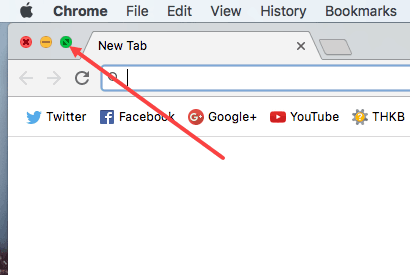 Finally, you can click the green Maximize circle in the upper left corner of the Chrome window to enter and exit full screen mode. Thank you for visiting Tech Help Knowledgebase to learn how to enter full screen mode in Chrome.